Following are some suggested activities to fill the gaps, when there are no planned events. These are just a few ideas on how to spend your time at any of our club meetings. Our preferred meeting places are covered under Locations. A learning activity intended mainly for beginners. You should file a flight plan which informs the controller that you are "Observing". Getting Started tutorials are available for Squawkbox and FSInn on the Training page, if you need help to get connected. You can choose to start from another airfield and fly in to join the club meeting, or decide to fly out from our club meeting place to another airfield. This could be done to improve your flight planning, communication, and navigation skills. Refer to the Training page if you need assistance with these activities. There are many things to see near our meeting sites: the Malvern Hills, the Cotswold ridge, and the River Severn and it's bridges near Gloucestershire; the Thames Estuary, along the Thames into London, the Medway with Chatham, Gillingham and Rochester near to Biggin Hill, or visit the south coast. For more details, check the information provided under Locations. Select an objective destination and get there by observing rivers, motorways, towns and cities. Then return to base. Examples: from Gloucestershire try to find the M5-M50 junction, or Wellesbourne Mountford airfield; from Biggin Hill try to follow the M25 to Dartford, or find Rochester airfield. With more experience, plan a triangular route using a couple of intermediate objectives. 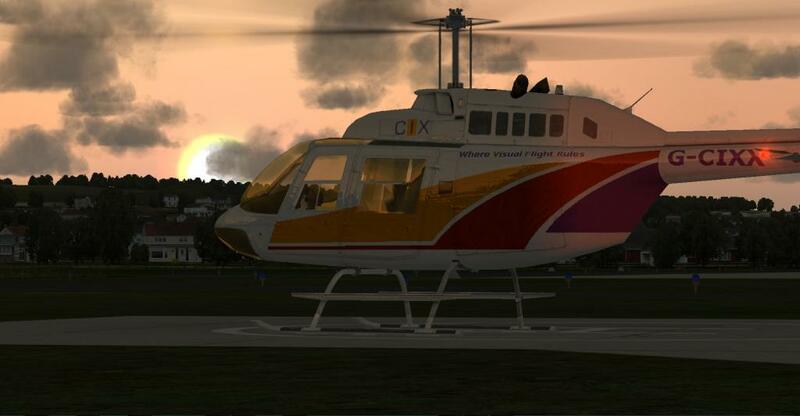 For help with VFR navigation, see the tutorials on the	Training page. Some club events will feature this "Treasure Hunt" type of flight - great fun. Land away at a selected nearby airfield: from Gloucestershire - Bristol or Cardiff; from Biggin Hill - Redhill, London City or Southend. Then file a new plan to return. Sometimes we will arrange to do one of these as a group flight. You should do this well away from airfields and away from controlled airspace. Work with a colleague taking it in turns to practice close flying. Start straight and level, with a gap of about 0.5 nm, and when you are happy with that, try to get closer. It is easiest to fly a little behind, below, and off to one side. Then try some turns. When you can fly accurately VFR and feel like another challenge, try following the NDB/DME or ILS approach charts. Procedure Approach charts are available on the NATS web site. Perhaps a bit of practice off line first to learn what is involved - this is precision flying and is not for the beginner. Try flying a holding pattern first, then follow the instructions on the chart keeping as near as possible to the indicated position and height, including the descent pattern. Try not to look ahead at the runway until you reach your decision height. A detailed IMC Rating tutorial is available on the	Training page which should be studied before attempting these procedures. Members are encouraged to complete a report after each qualifying flight. The link below takes you to the forum login page, or direct to the report form if you are logged in already. The "What's a PIREP" link takes you to the Pilot Reports help page. Link to your PIREP : Whats a PIREP?